“I’ll come downstairs and show you the way, people tend to get lost here!” Loes tells me through the intercom. The door buzzes, I enter the gate and walk through an impressive corridor that leads to an equally impressive courtyard. 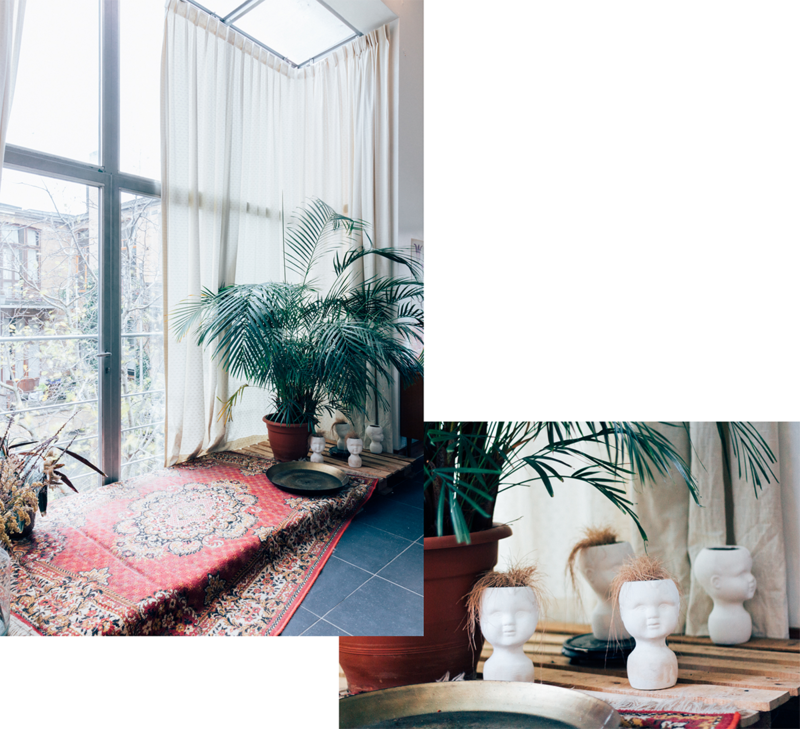 There’s no doubt: this is not your usual apartment in Antwerp. Loes explains to me the place is owned by an artist, who bought and renovated the whole block. That explains the mural and the several remarkable glass additions to the building. 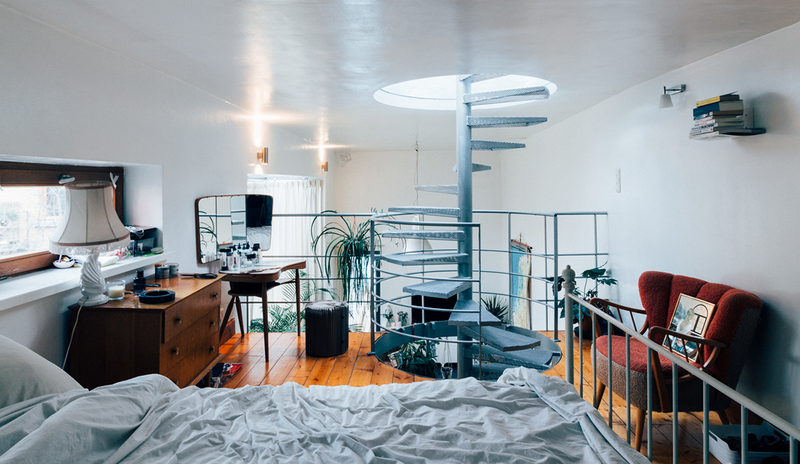 (Just have a look at this apartment in the same building to know what I mean.) 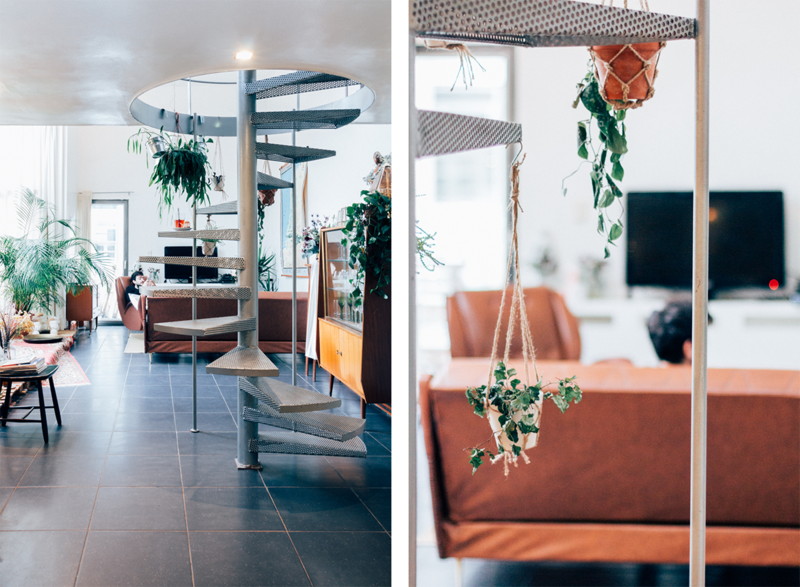 The flat she shares with her boyfriend Max and their cat Sjakie, is probably the smallest one in the building, but that doesn’t mean a thing. 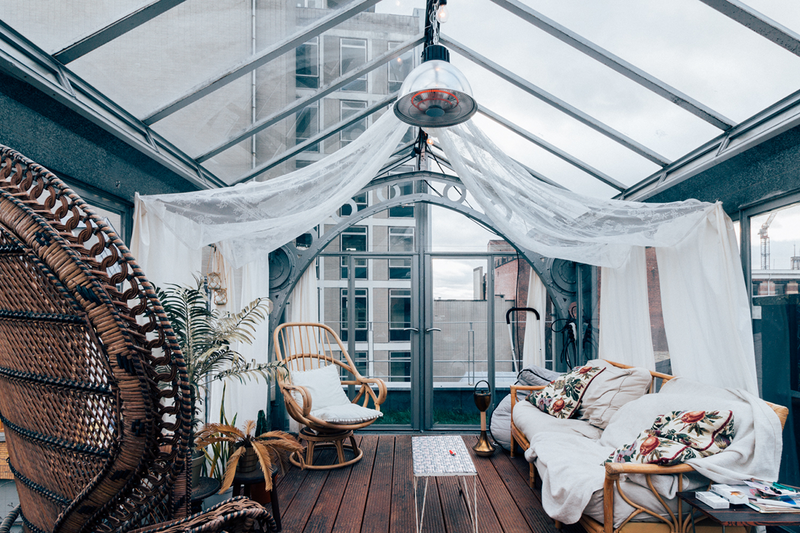 Spread over three floors with the top floor containing a tiny rooftop terrace and a glass orangery that reminds me of a miniature version of Antwerp’s station hall or the royal greenhouses, it certainly stands out. 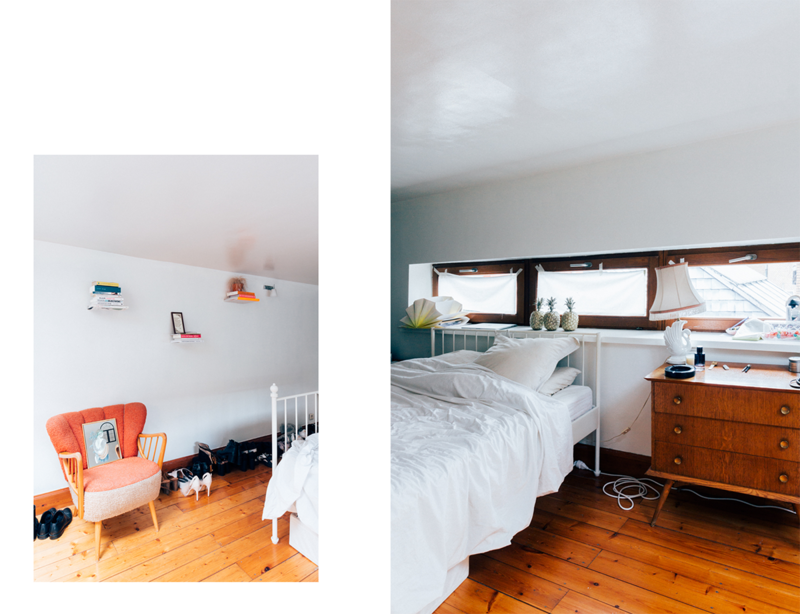 It was a coincidence that Loes came across an ad for this apartment, but she was immediately intrigued. She made an appointment that same day and instantly fell in love with the place. However, the apartment turned out to be quite popular: no less than 30 people had already visited the apartment since the ad went online that morning. 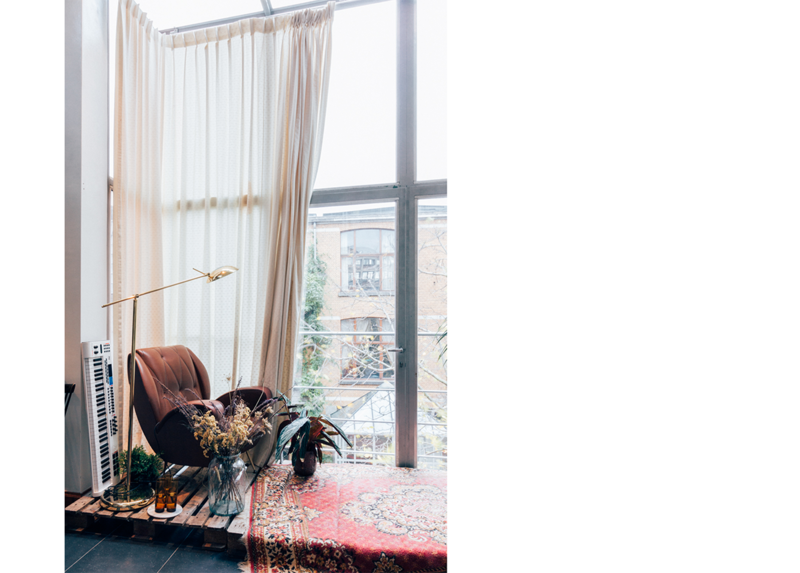 As Loes lived in Amsterdam during her studies in fashion and branding, where the housing market is tight, she’d gotten quite a bit of practice in convincing future landlords of her worth, so she put her skill to good use. 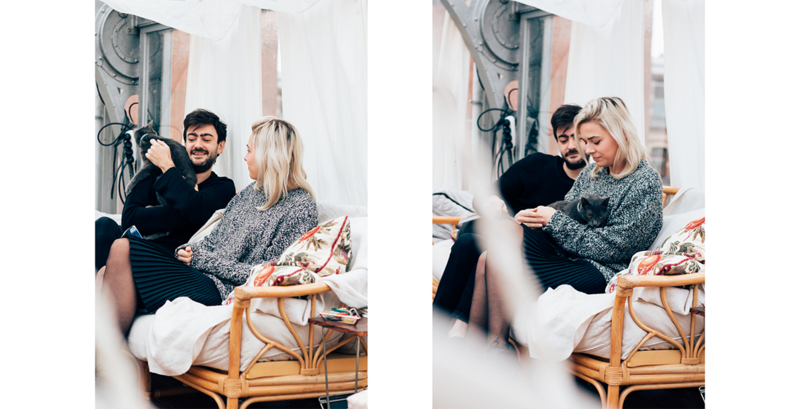 The landlord wasn’t the only one needing convincing though, as Loes wasn’t able to afford the place on her own and her boyfriend of 2 months was still living in Paris. “She only wanted to live together in this apartment!” her boyfriend Max laughs. 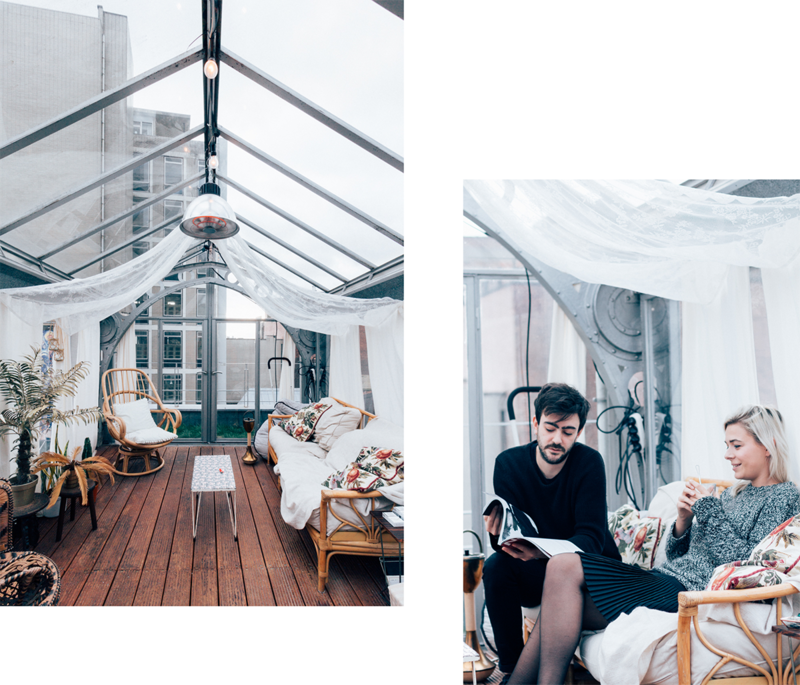 “She did not want to wait, she did not want to come to Paris, it had to be this apartment!” It took her a month to persuade him to move to Belgium’s fashion capital and he hasn’t regretted his decision yet. Loes moved to Antwerp a couple of years ago, when she started a new study in Mechelen and was working for Belmodo, who were based in Antwerp at the time. 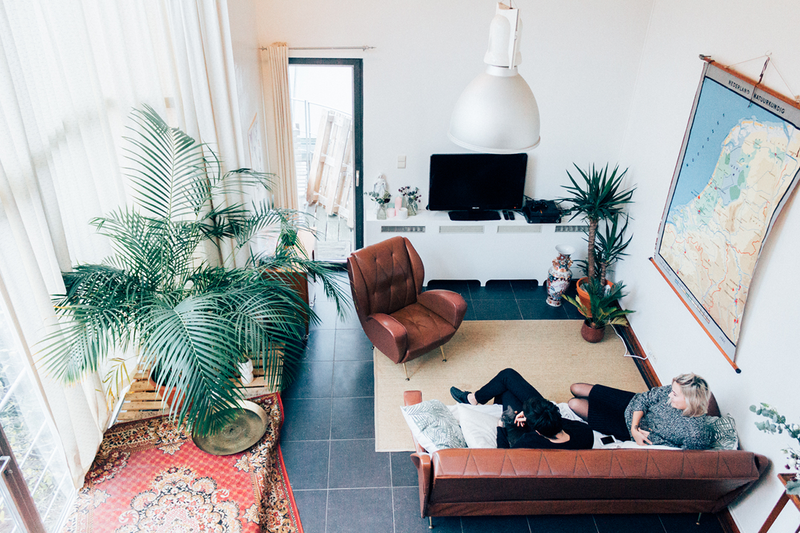 While she adores Amsterdam, her former hometown, Antwerp felt at home right from the start. “It’s a rather small city and it’s easy to get to know, plus the average rent is much lower than in Amsterdam!” Currently she’s responsible for the pr, marketing and social media at Crenau Int. 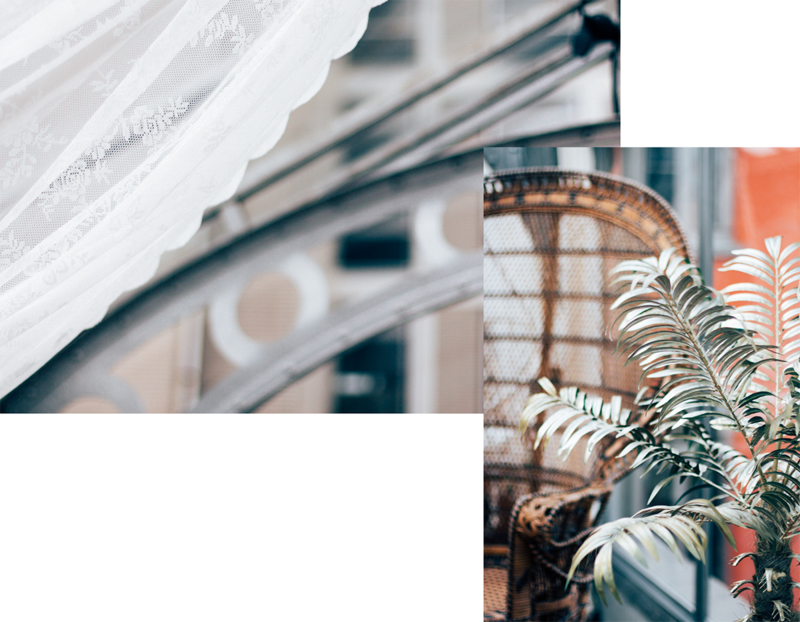 (an interior, concept and branding agency) and combines this with writing for fashion website Belmodo and freelancing on social media. Her spare time is spent with her boyfriend or between flowers, although that hobby doubles as another job: Loes recently started a florist side project, called wildflowers and vodka, that she’s hoping will grow into something bigger in the future. 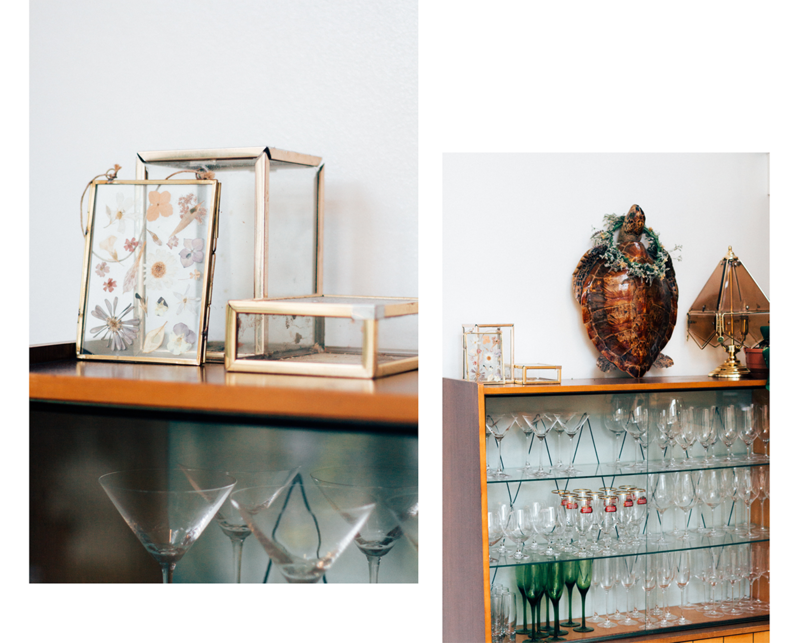 The interior is mostly Loes’ accomplishment, made up of a mix of vintage and bohemian items that she’s been collecting over the years from several second hand websites and thrift shops. Because of her boyfriend, she toned down the amount of the color pink around the apartment though. Max was already warned by the pink ceiling in her previous bedroom, and forbid the color in their apartment. “My first veto, no pink!” he laughs. 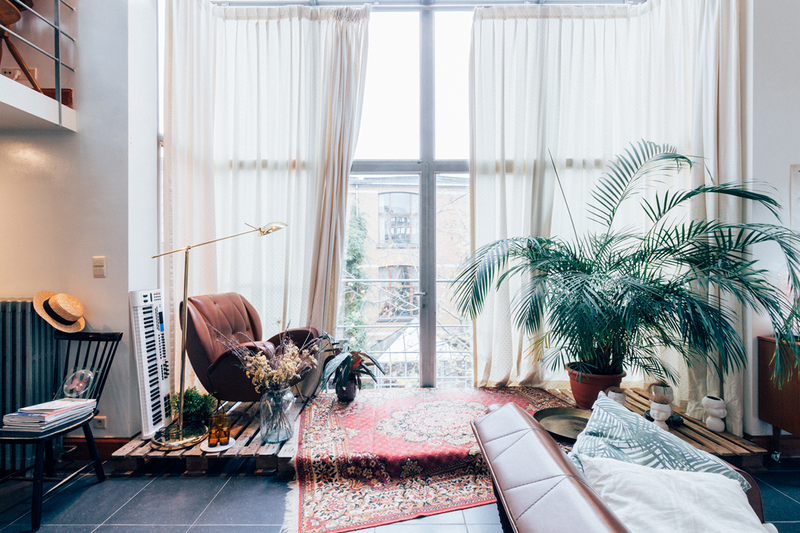 “I grew up in a typical french country house, very cosy and cluttered, surrounded by tons of books and a piano.” Max says, “but I prefer a more modern style myself.” As the apartment itself is already quite modern, Loes’ vintage furniture forms the perfect counterbalance to create a compromise between both of their styles. 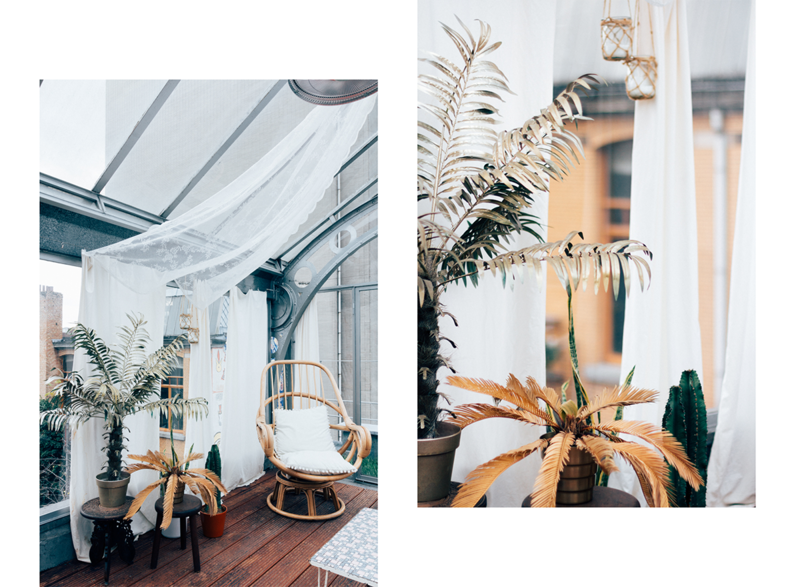 That doesn’t mean they never have discussions about the interior though: “Loes likes to group plants or place them on chairs and I don’t understand!” Max laughs. 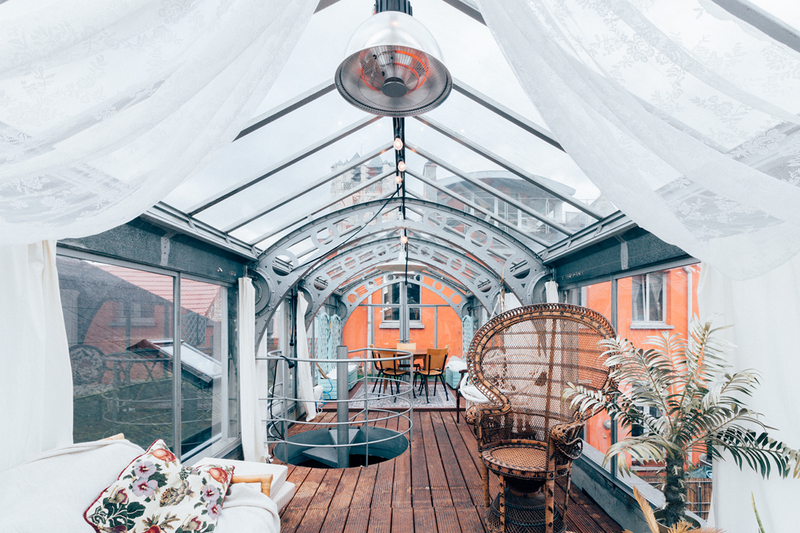 When I ask them about their favorite room in the house, the answer doesn’t come as a surprise: the orangery. “It’s as if we have a holiday home on our roof!” Loes explains enthusiastically. “When we just moved in, we spent the majority of our time up there, but now that we both have jobs, that changed. Nowadays, we only go there when we have a day of. 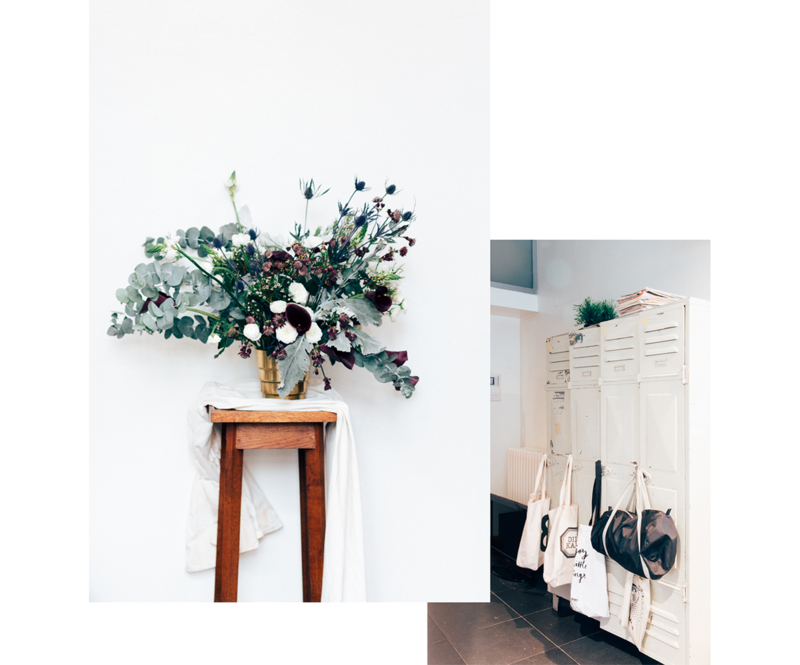 Breakfast in the orangery is our favorite way to start the day!” The orangery also serves as Loes’ flower atelier; with the doors open it’s almost as if she’s working outside. 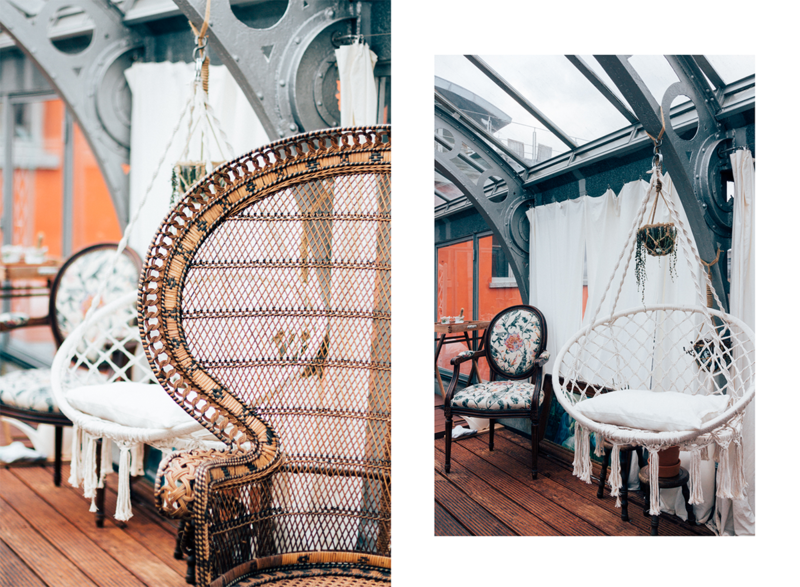 When I ask Loes about her favorite piece of furniture, she hesitates, as so many of her pieces come with a story. 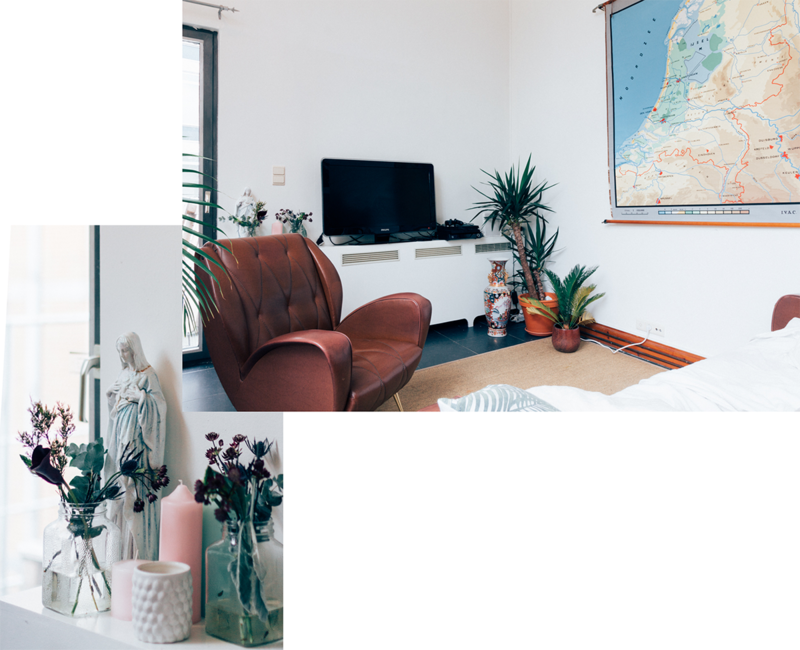 The map in the living room for instance, which she bought after she moved from Amsterdam to Antwerp. She found it when she was strolling through a vintage market with a Dutch friend, who insisted Loes had to buy it to remind herself that Antwerp and Amsterdam were not so far away from each other. 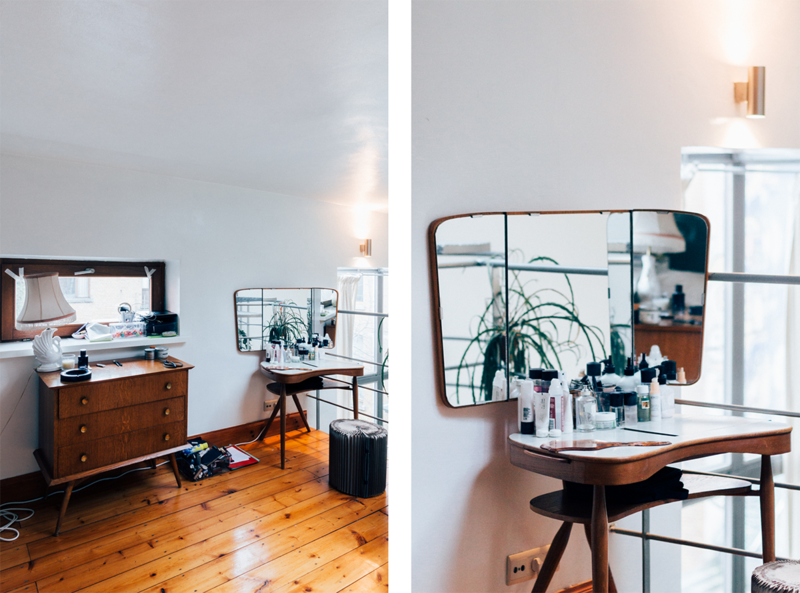 Another example is the vanity table in her bedroom, a birthday gift from her parents. 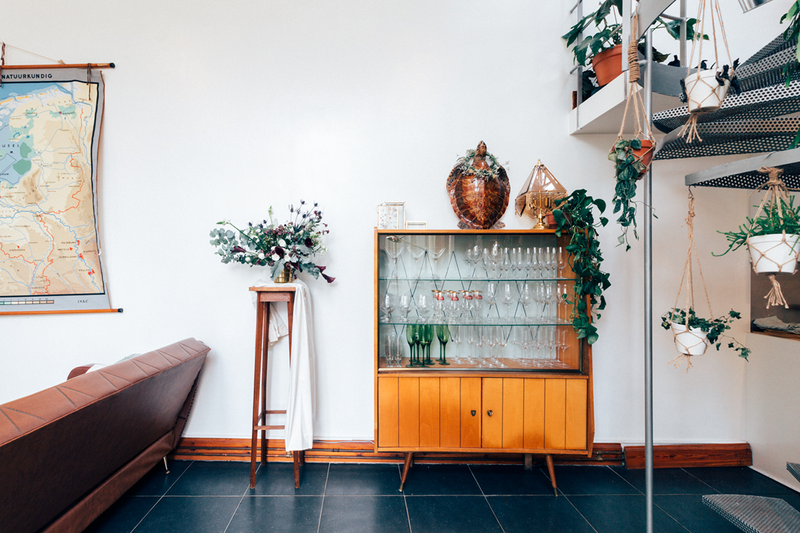 For interior shopping, Loes recommends scouring second hand websites but also Ivonne Brocante, here in Antwerp. 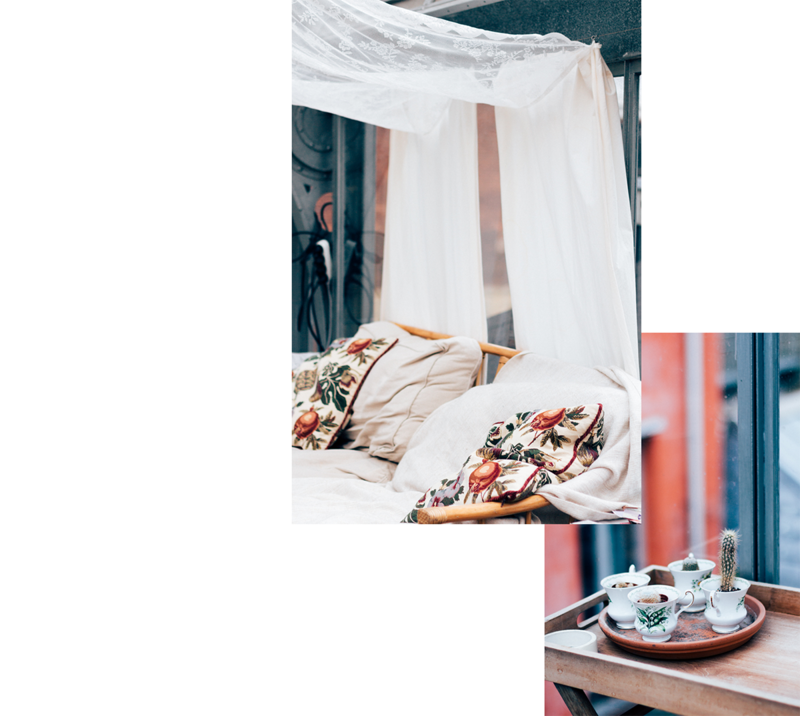 For new items, the couple usually heads to Ikea, Sissy Boy or The Recollection although the latter is a bit too expensive for their budget and serves more as a source of inspiration. Scrolling through Instagram and exploring antiquarians inspires her as well. 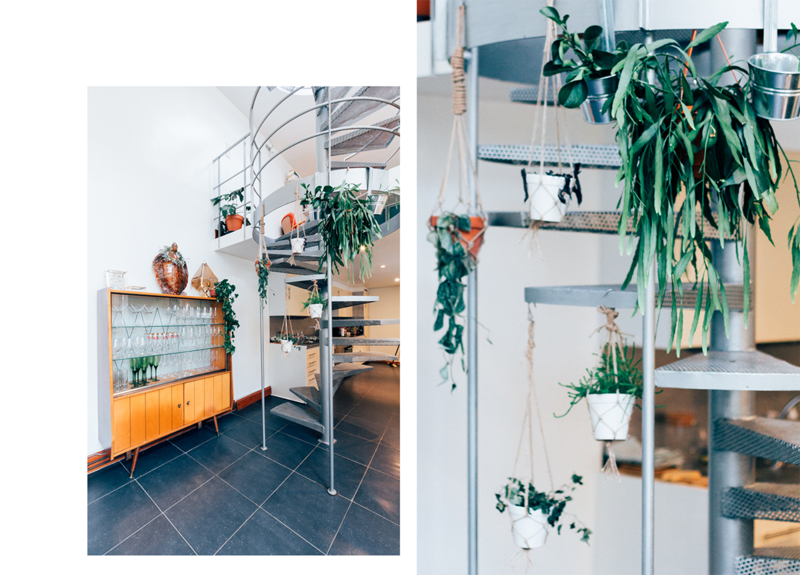 Fijn om Loes’ appartement eens helemaal te zien na alle dromerige foto’s op Instagram. Veruit mijn favoriete insights tot nu toe! 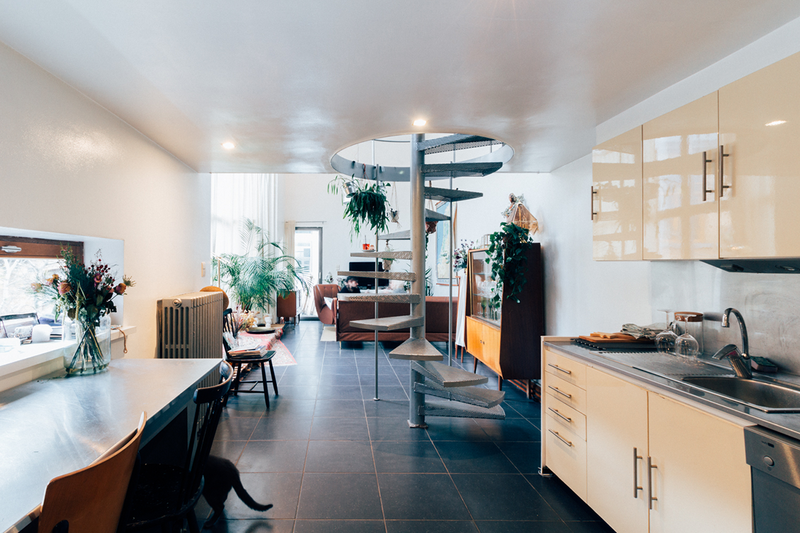 Waaauw wat een mooie woning!